Hello lovelies! One of the many truths about life is that age affects us all. As I come closer to knocking on age 40's door, I am more resolved to maintain my skin's youthful appearance for as long as possible. Therefore, I am always on the look out for anti-aging products that work with my skin to prevent Father Time from taking advantage of it. 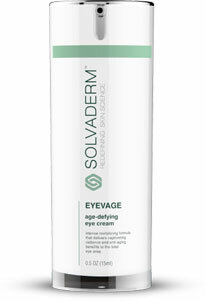 One product I've been using for the past few weeks is Solvaderm's Eyevage. Learn how it is helping me to overcome the signs of aging. My 38-year old eyes are free from deep wrinkles. However, those tiny laugh lines or crow's feet are creeping at the corners of my eyes. Because, I often keep late nights and early mornings, I tend to develop dark circles and puffiness. My poor eyelids are beginning to suffer as well the skin is becoming more delicate, prone to dryness, and thinner. 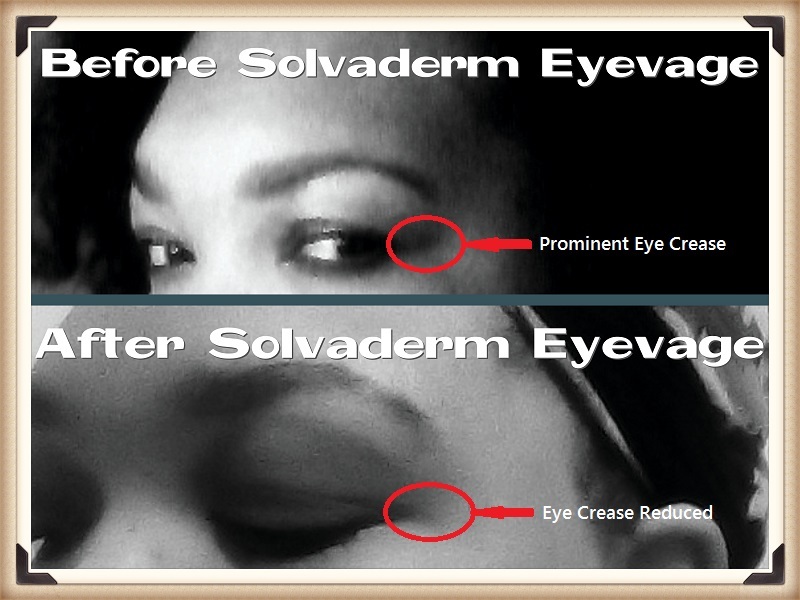 So while Solvaderm doesn't have an uphill battle with treating and caring for my eyes, it still needs to show visible care. 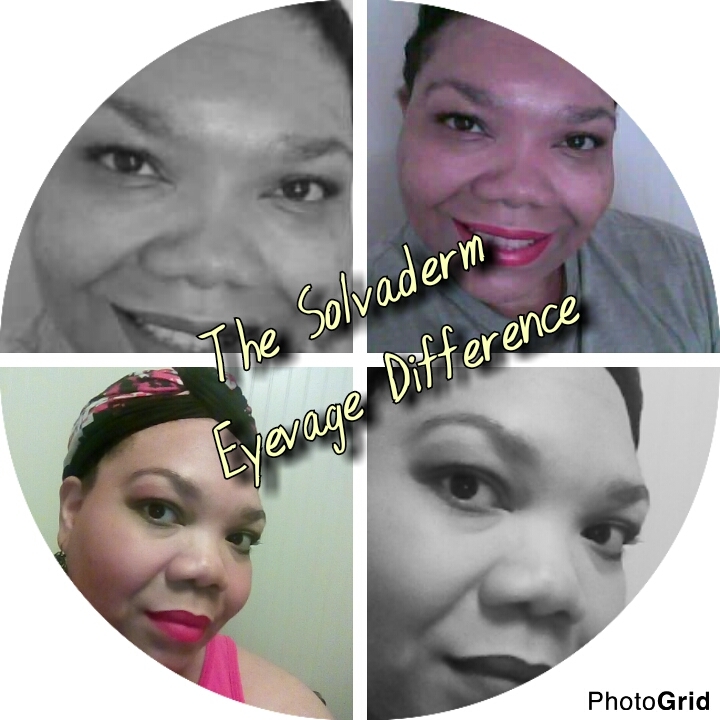 I began using Solvaderm Eyevage a couple of weeks ago. Since the weather was changing due to the change in seasons, I was pleased to see that Eyevage is a cream that moisturizes. On that point alone I was pleased. Eyevage has helped maintain the moisture around my eyes. I use Eyevage both morning and at bedtime. To be honest with the late hours I keep and little sleep I get, I should look like I have two black eyes by now. The skin around my eyes is brighter and I haven't had any noticeable puffiness since using the product. In fact, I don't even use concealer under my eyes anymore. For the fine lines at the corners of my eyes, I have noticed a considerable reduction in the line at the corner of my left eye. It was the most noticeable in pictures. Now I can't even see that prominent line in pictures anymore. The lines are still there but they are fading fast. I barely feel them when I touch the corners of my eyes. Now that you know my experience with Eyevage thus far, learn more about the product itself. "Eyevage is a multi-action age-defying cream developed by leading dermatologists to address the varied and complex issues that most commonly affect mature skin in the eye area." I'm sold on the effectiveness of Solvaderm Eyevage. You can give your eyes a youth boost by visiting Solvederm and purchasing a bottle of Eyevage as a special present for yourself.